Former Yahoo exec Ross Levinsohn, who has laid pretty low since he left there earlier this year, will be joining the board of the Venice, Calif.-based video start-up, Zefr. Indeed — the company raised $18.5 million in additional funding this summer to turbocharge its offerings. At the time, Zefr changed its name from Movieclips, and added sports, television and music videos to its film efforts. 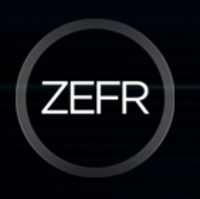 Zefr launched in 2009 as a niche video catalog site, focusing on helping movie studios collect and monetize fan and professional postings on YouTube, and offering advertisers a large network of premium movie clips. The company said then that it had 600 million monthly views, 25,000 movie clips, and three billion total lifetime views on YouTube. It is about to celebrate one billion monthly views.